It's time again for me to share what we'll be munching on this week. I'm keeping this short and sweet as the rain and lack of sun today has my energy at a low. 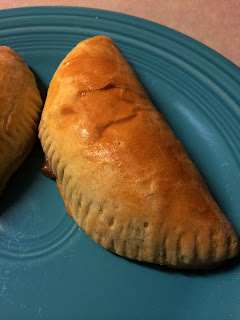 Taco Hand Pies: I'll start by saying that I made these with soy crumbles instead of ground beef to make them vegetarian. It didn't hurt the flavor at all. 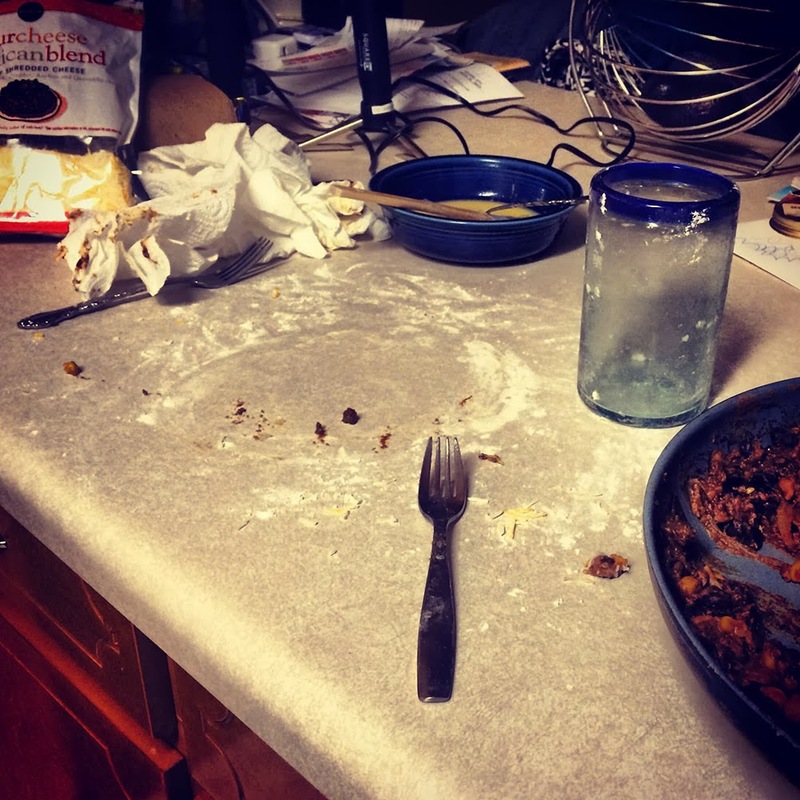 The pies turned out pretty good, but were uber messy to make. (see picture of aftermath above) Between the flour on the counter and the filling oozing out of the dough (see picture below) I had a real disaster on my hands (and on the counter, floor, and front of my shirt). I also had a ton of extra stuffing that wouldn't fit into the pies. I actually ended up freezing the leftover stuffing and half of the pies (before they were baked) since the recipe made sixteen pies. 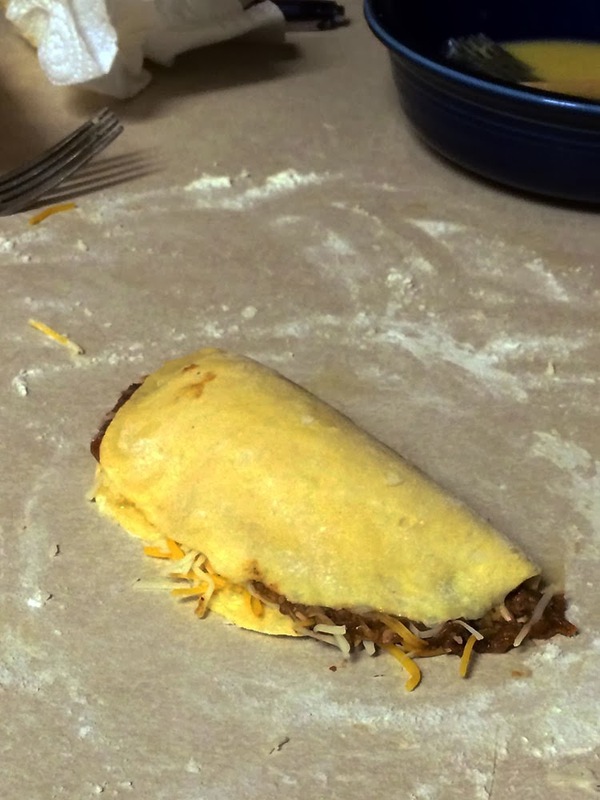 I probably won't make this exact recipe again as the dough itself was a TON of calories, but I will consider it. They ended up looking fairly pretty. This isn't the same pie as the one above it. . .Pat ate that one before I could get a picture. Roasted cauliflower alfredo: This was good, but the consistency wasn't exactly to my liking. I failed to read the whole recipe before making it (dur!) and didn't realize that the cauliflower was blended to make the sauce rather than just IN with the noodles and sauce. I think I would have liked that better. Oh well. I probably won't make this again. You win some, you lose some. Broccoli cheddar soup: This was AWESOME! There was something about the roasted broccoli and the aged cheddar together that gave this soup a fabulous flavor. While it was pretty high in calories, I will most likely make it again. Yummers. Slow cooker coffee braised brisket with potatoes and carrots: This was so easy to throw together on Sunday morning. I wasn't feeling well and it was nice to know that I wouldn't have to mess with cooking dinner in the evening. However, it was too sweet for my taste. I did add the extra coffee, garlic, wine, and Sirrachi as the comment-ers on the recipe suggested. However, the brown sugar in the recipe was where it went off course for me I think. If I make this again, I will likely use less brown sugar. Yet, I'm not sure that I'll make this again as I think I would have just preferred a regular old crock pot roast beef. That's all for today y'all. It's about time to get started cooking tonight's meal and hope that the rain is gone tomorrow. 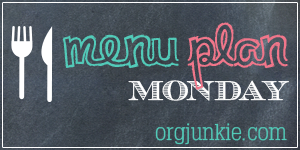 These posts are so great- I love reading your menus. Yum! I may have to try that ham and potato soup recipe! Sounds easy and tasty both.